The Tests » KBIT-2™ Test (Kaufman Brief Intelligence Test™, Second Edition) » What is the KBIT Test? The Kaufman Brief Intelligence Test™, Second Edition (KBIT-2 Test) is a brief (about 20-minutes), individually administered measure of verbal and non-verbal intelligence. The KBIT-2 test is often used to qualify children for a gifted program. Sometimes it is given as a “pre-qualifier” or “screener.” A child who does very well on the KBIT-2 test is then invited to go on for more thorough testing, in many cases a complete IQ test. There are three scores for the KBIT-2 test — verbal, non-verbal and overall composite of the IQ. TestingMom.com offers a variety of practice questions for the KBIT, as well as interactive games. To get a sample of our questions, please view our 100 free practice questions. 1) Verbal Knowledge – First there are Verbal Knowledge questions where the child is shown a group of pictures and asked to point to one picture that represents a vocabulary word. The question below is a practice item for this type of question. The child is asked to point to a “marsupial.” He must know that marsupials are pouched mammals , so kangaroo is the answer. 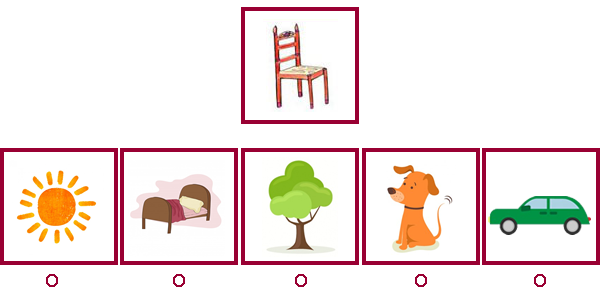 2) Matrices – These are non-verbal, unique questions for which children haven’t been taught to work with in school. 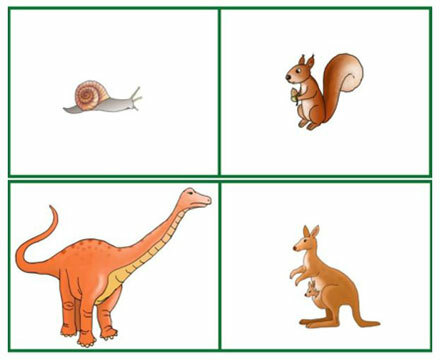 For younger children, with this type of question, the child is shown one picture and then a series of possible answers. He is asked to point to a picture among the answer choices that goes with the picture on top. For example, there might be a picture of a chair on top, then pictures below that include the sun, a bed, a tree, a dog, and a car. The chair goes with the bed, so that would be the answer. For older children, Matrices are presented as a 4 or 9 box matrix using pictures or figures. If your child completes all the Matrices in this section, you can look throughout our site for other, similar questions. Matrix or analogy questions are some of the most common questions asked on these types of tests. You’ll find many similar practice questions under our Reasoning By Analogy Questions for the NNAT®-2 test. For younger children, you can also work with Picture Concept questions for the WPPSI™ test to practice for this part of the KBIT-2 test. This is a great test for children who do not necessarily do the best in school. It tests innate intelligence, not learned knowledge, and thus even if a child does not excel in the classroom, they can excel on this test.